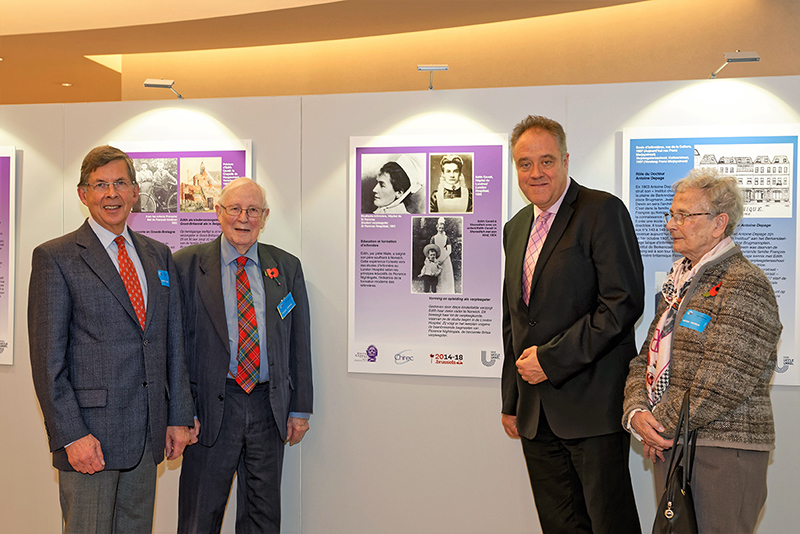 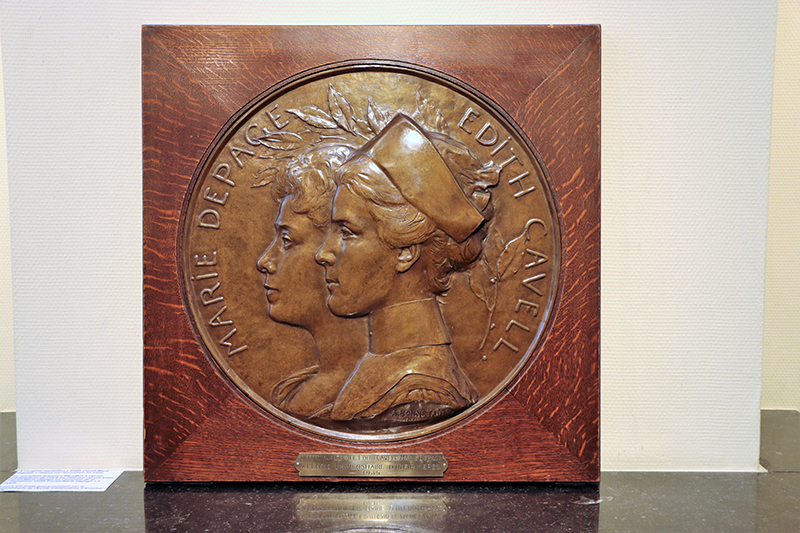 An exhibition consisting of 22 panels was created to present the story of Edith Cavell and the many individuals, such as Philippe Baucq, Louise Thuliez, Marie de Cröy and Hermann Capiau, who worked with her to save lives and assist allied soldiers and civilians escape Belgium in the first period of World War One. 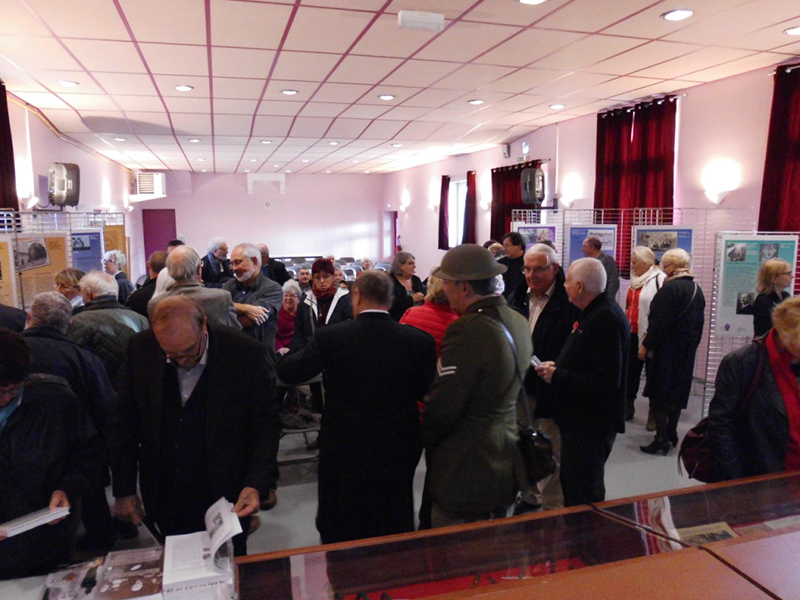 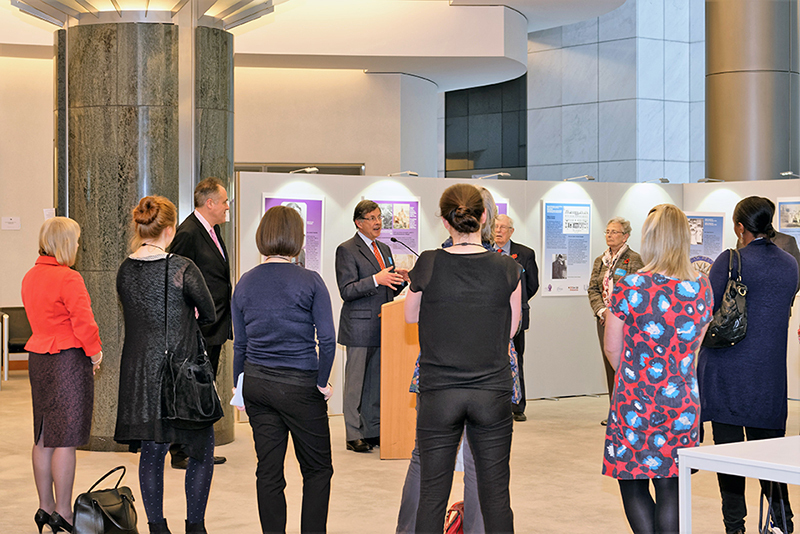 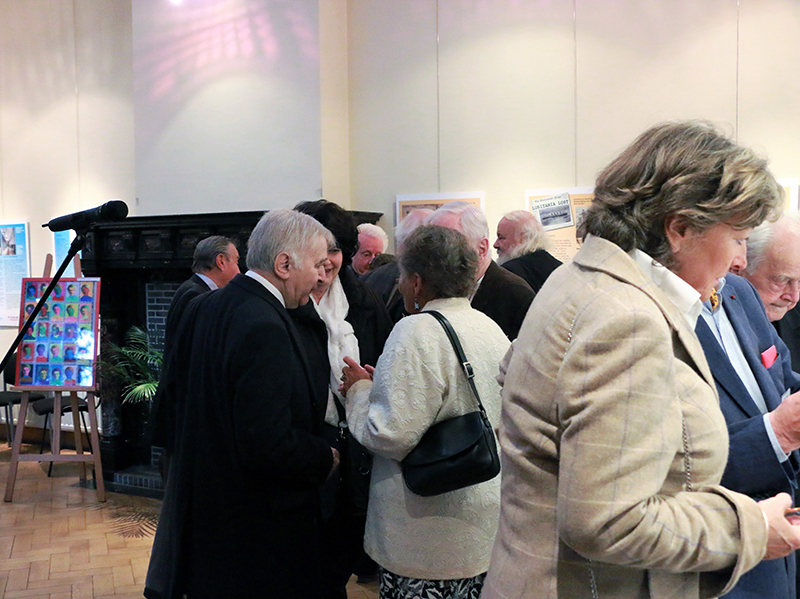 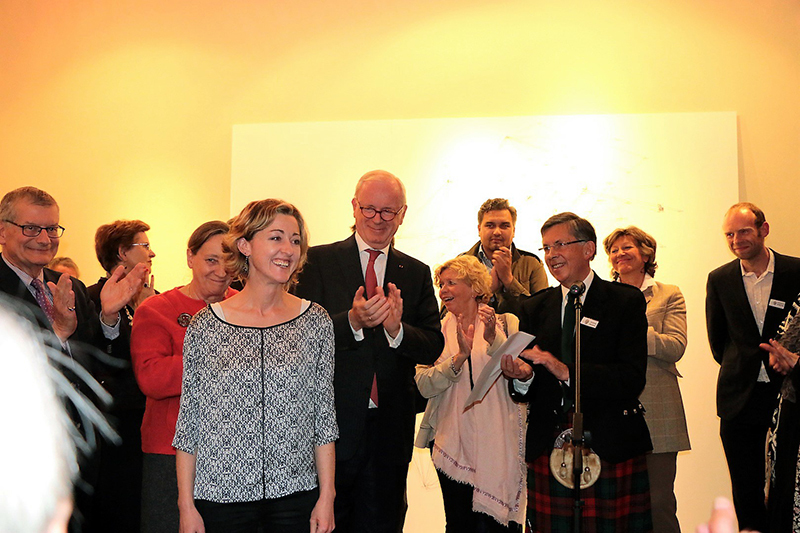 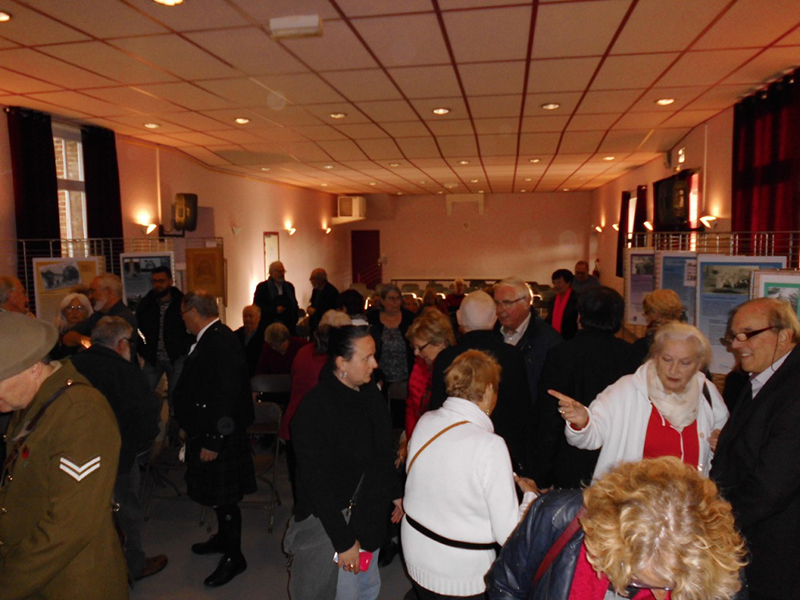 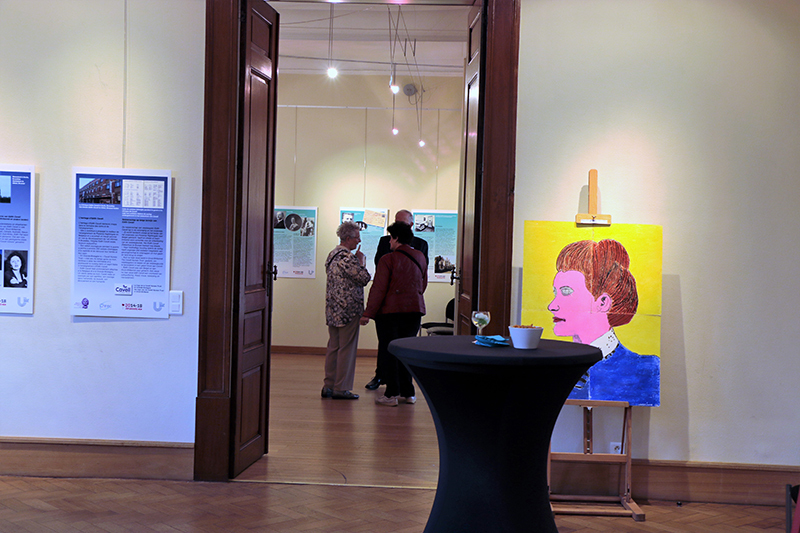 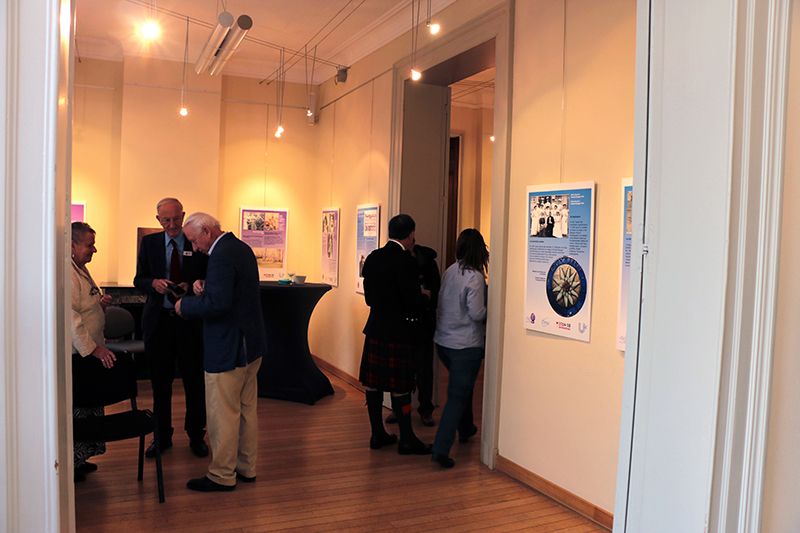 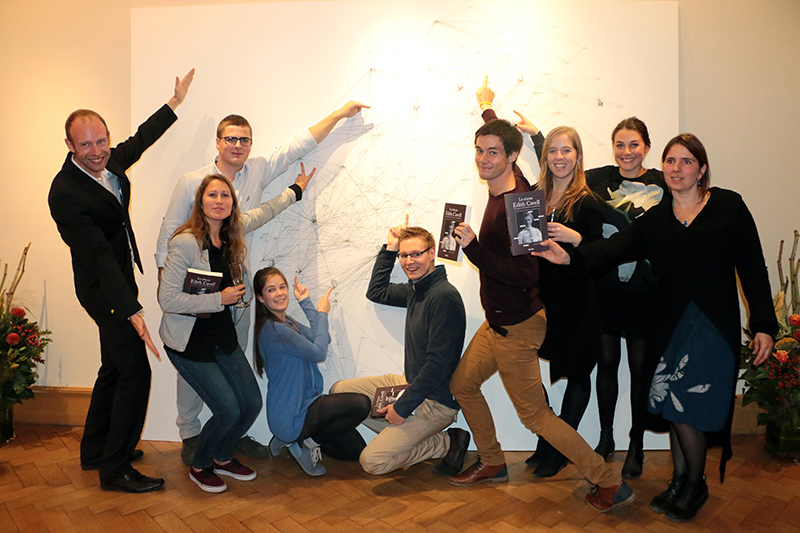 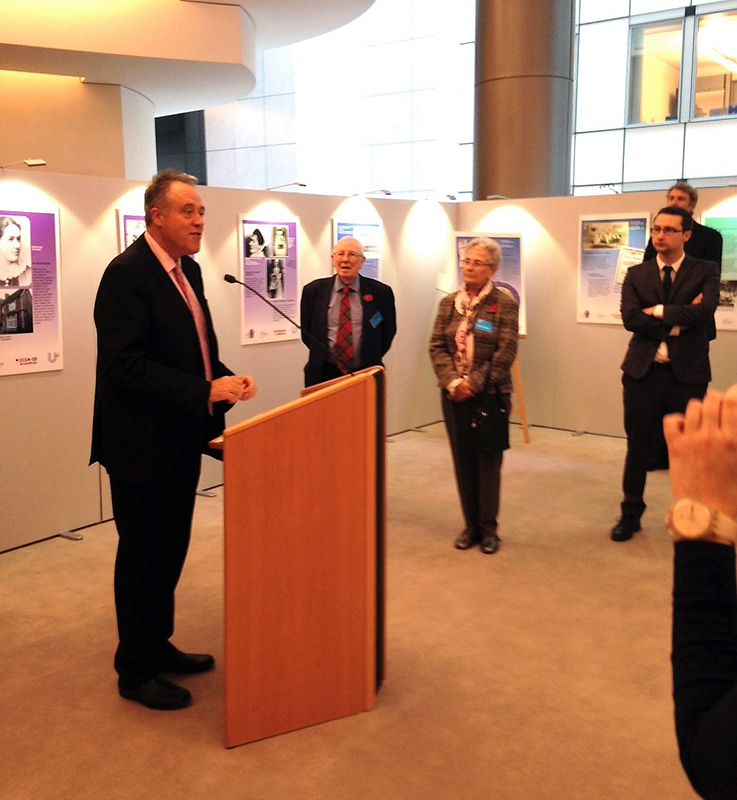 The exhibition opened at the "Doyenné-Maison des Arts d'Uccle" on Friday 9th October 2015 for three weeks and was subsequently shown at the "Hergé Library" in the Brussels commune of Etterbeek, the European Parliament, the Edith Cavell Hospital, the Chapel for Europe, the Belgian Resistance Museum and the small town of Maroilles in northern France. 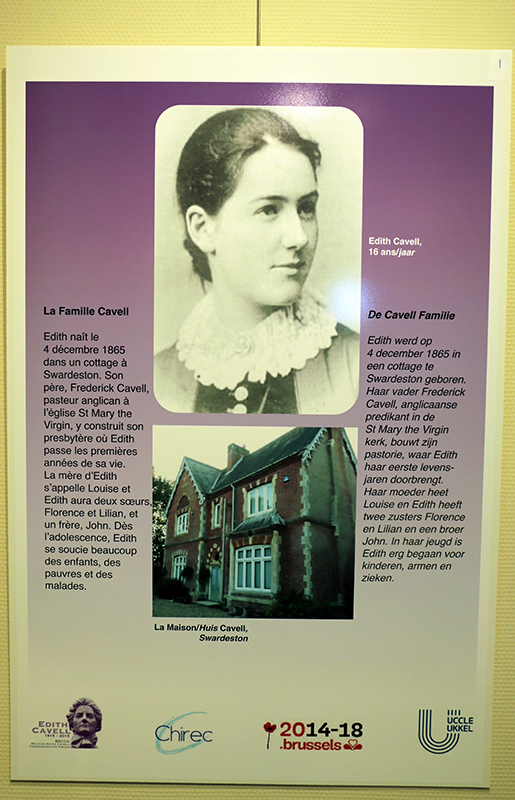 The Uccle exhibition also included a grandiose graphic representation, measuring 3 metres x 2.5 metres, depicting the so-called "Cavell Network" by naming some 179 individuals covering 3 regions, namely the north of France, Mons and Brussels, and their known links. 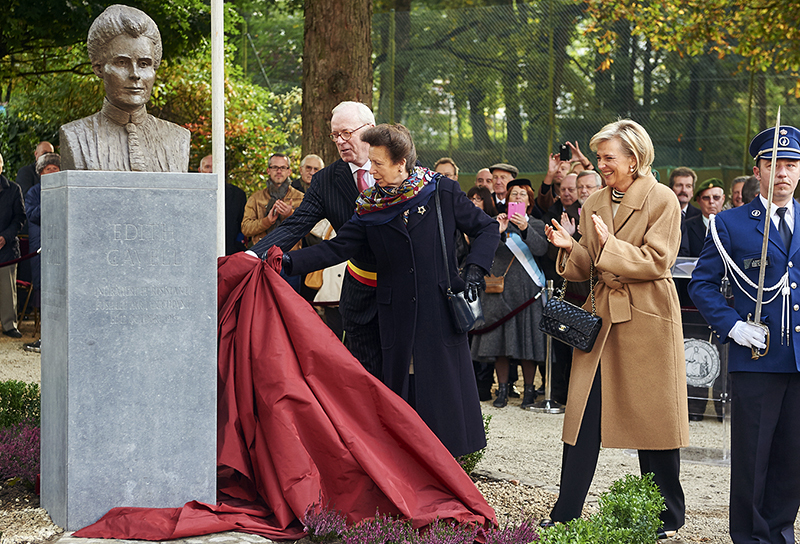 This extraordinary work was sculpted by Jehanne Paternostre based on research carried out by Emmanuel Debruyne and his students at the University of Louvain La Neuve in Belgium. 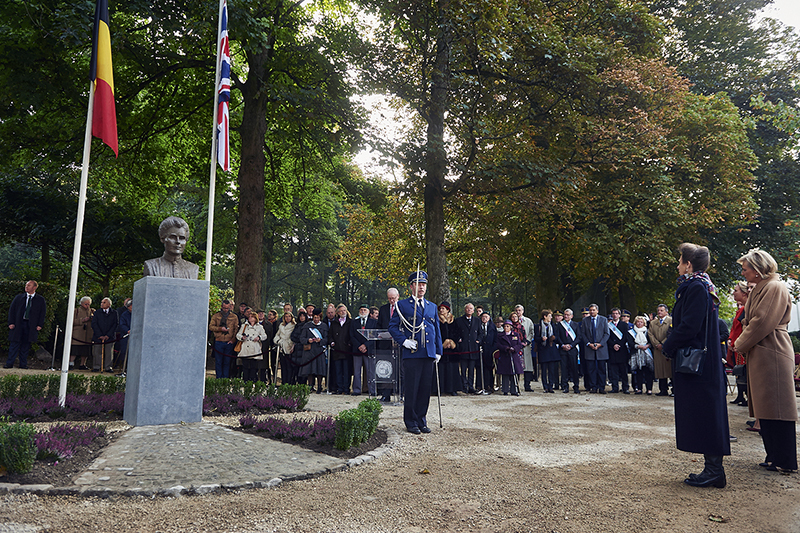 The Edith Cavell bust was unveiled in the Parc Montjoie, Uccle on 12th October 2015 by Britain's Princess Anne and Belgium's Princess Astrid. 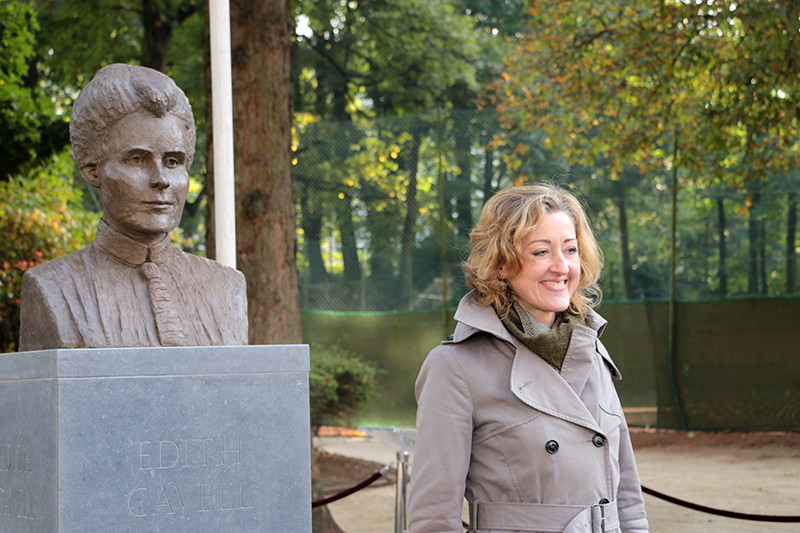 The bust is the work of the Belgian artist Nathalie Lambert and was commissioned by the Brussels commune of Uccle. 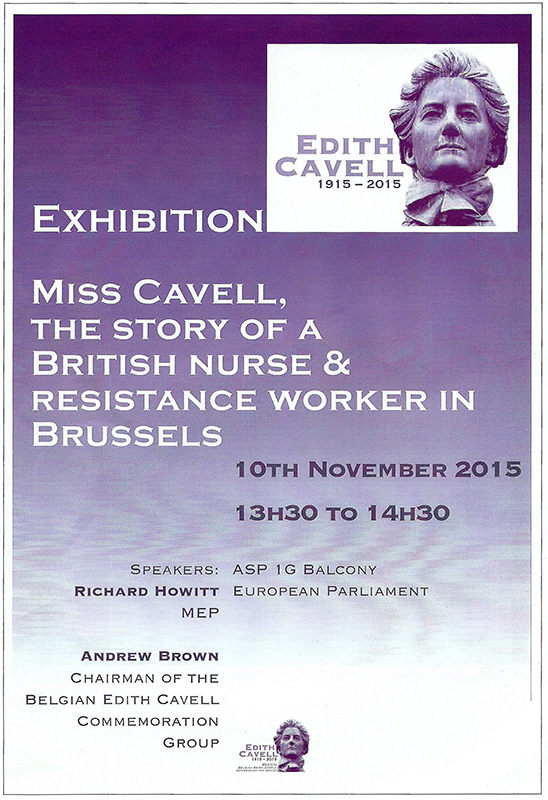 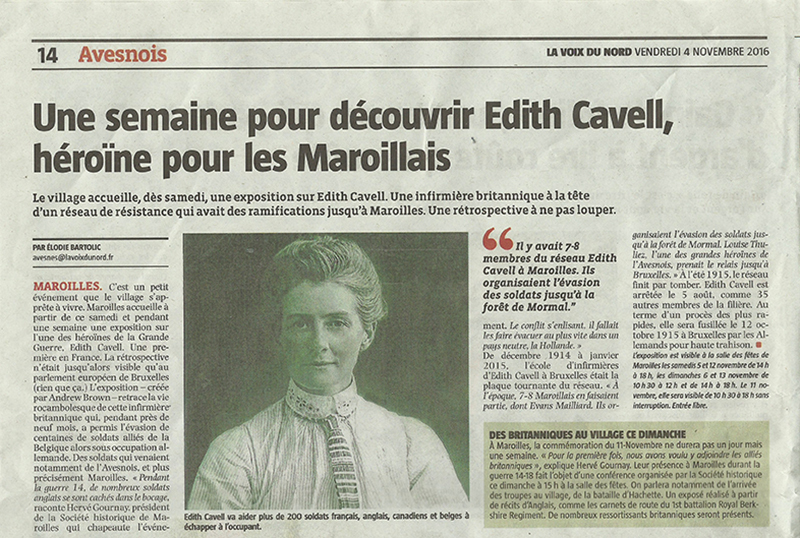 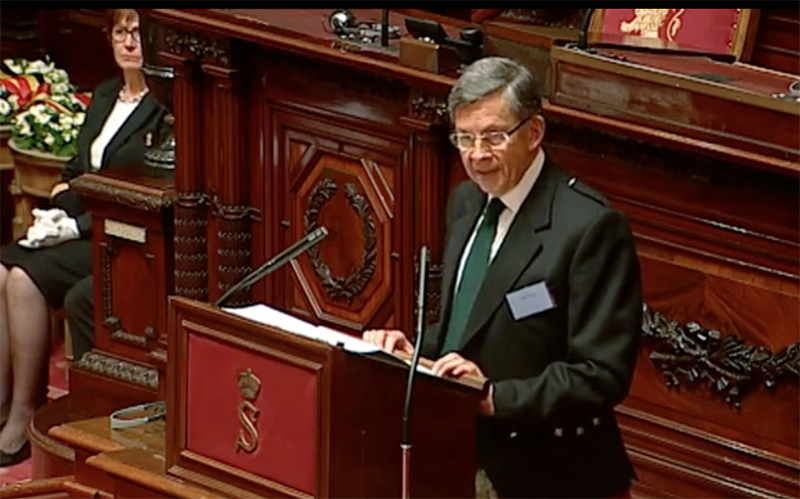 On 12th October 2015 Senate President Christine Defraigne hosted an Edith Cavell commemoration event in the Belgian Senate Chamber where Edith Cavell had been tried some one hundred years previously. 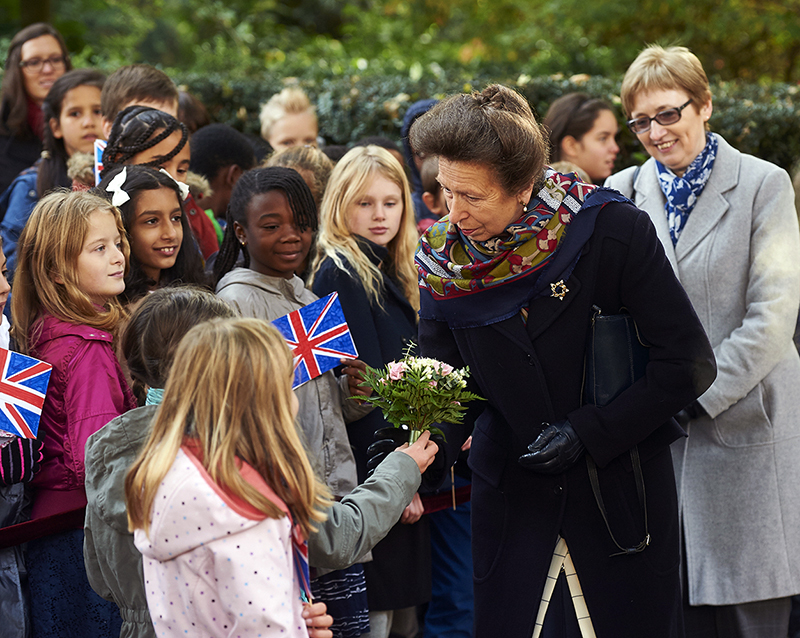 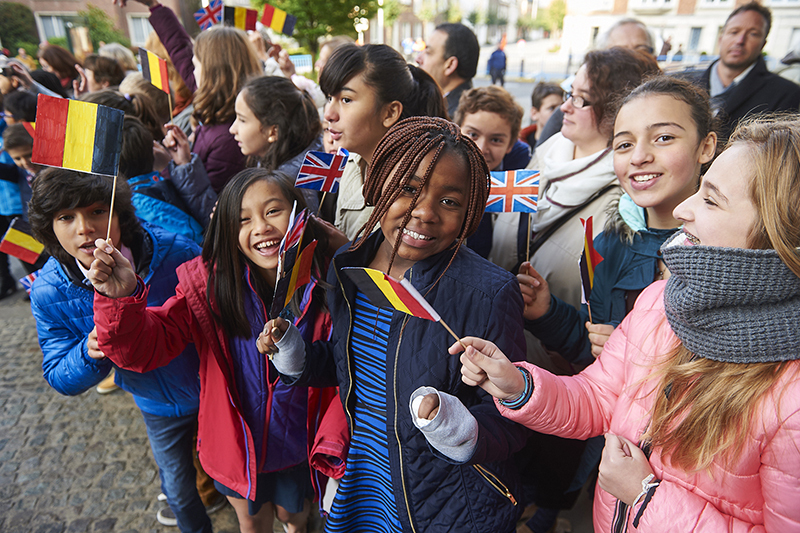 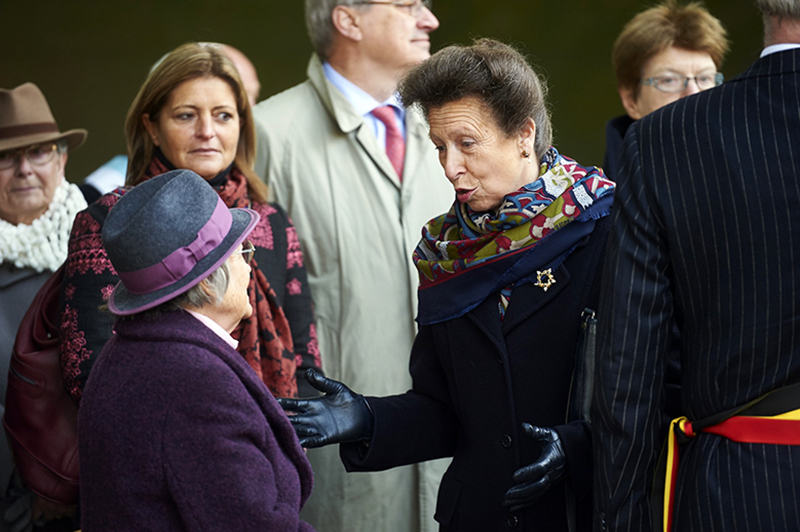 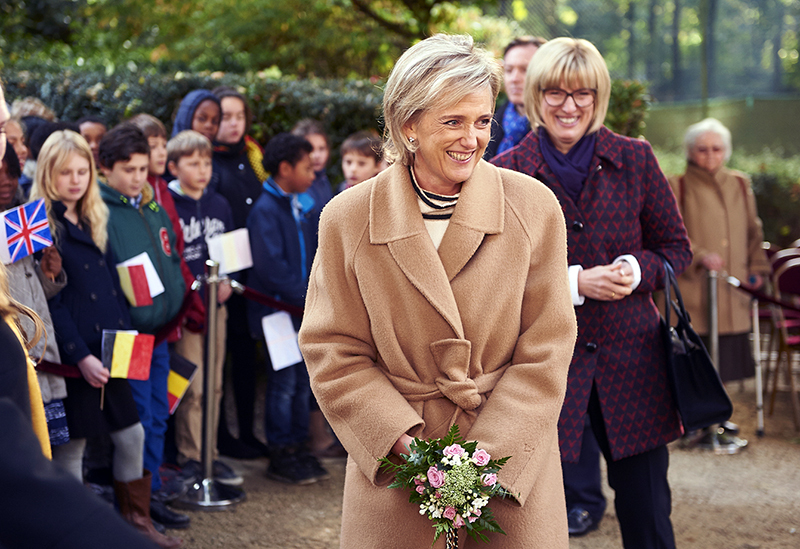 This event was attended by Britain's Princess Anne and Belgium's Princess Astrid. 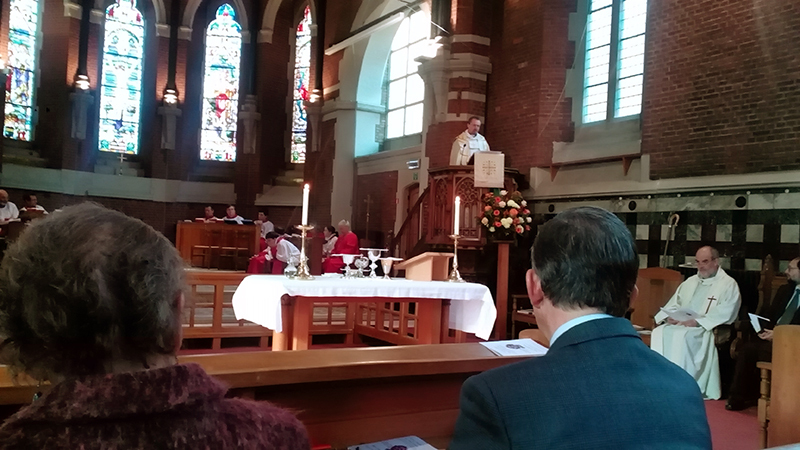 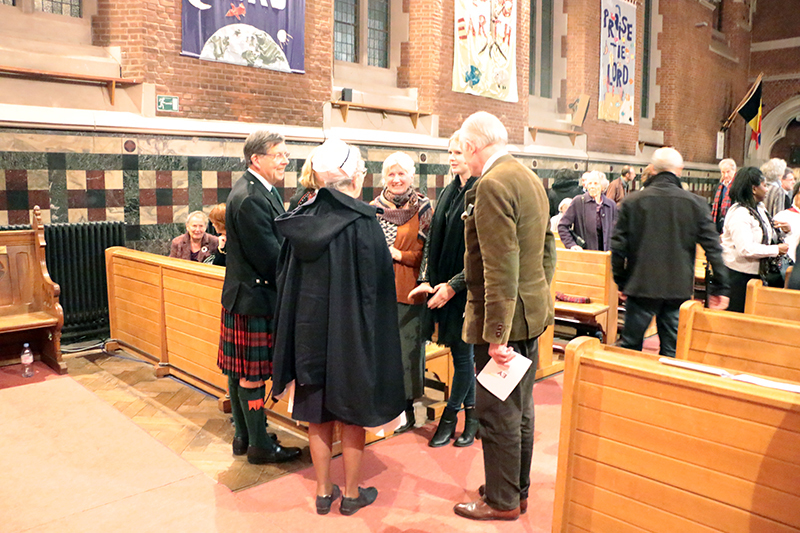 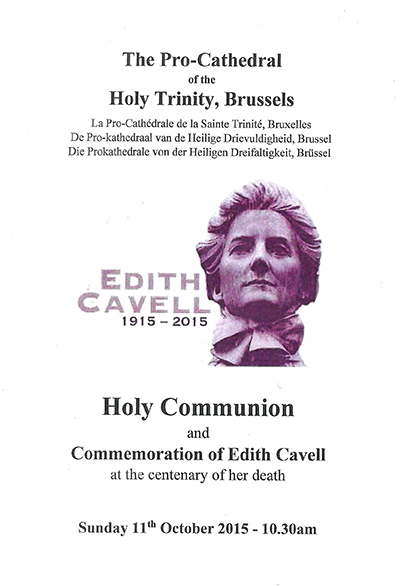 The Cavell Mass was commissioned by the Belgian Edith Cavell Commemoration Group (BECCG) to commemorate the Centenary of Nurse Cavell's execution. 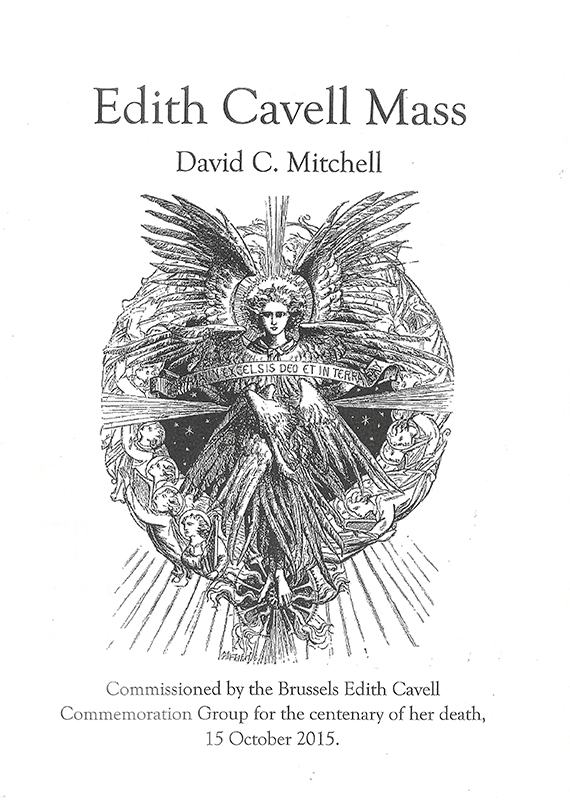 It is a setting of the full text of the Mass, with a duration of twenty minutes and is scored for SATB soli and chorus, with a small orchestra of trumpets, timpani, strings, and organ. 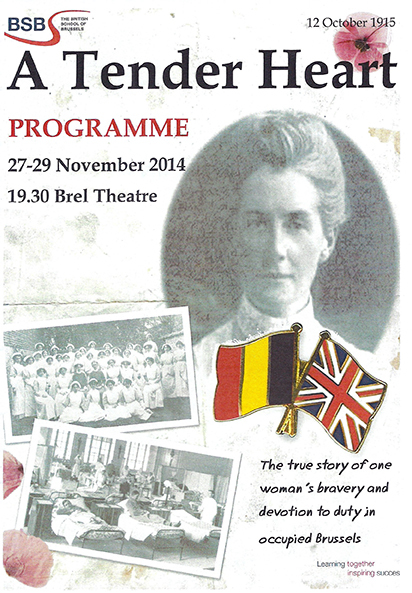 It is based on the theme of the hymn 'Abide With Me', sung by Edith Cavell on the evening before her execution. 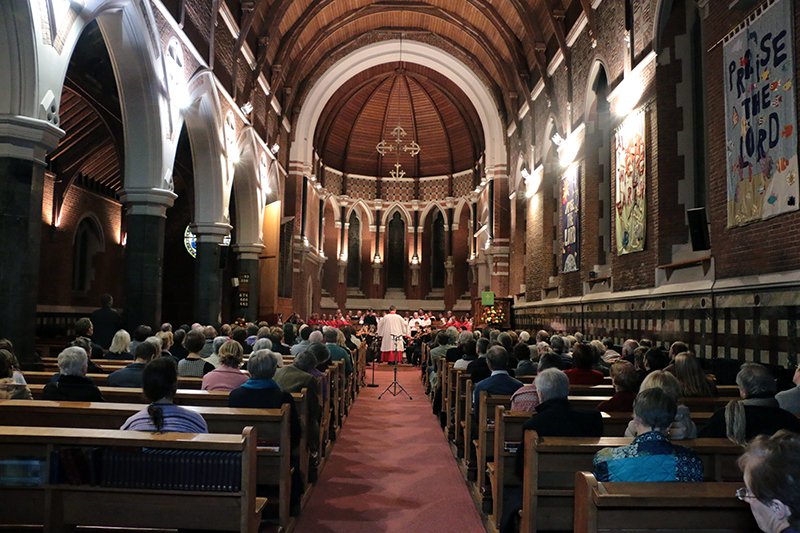 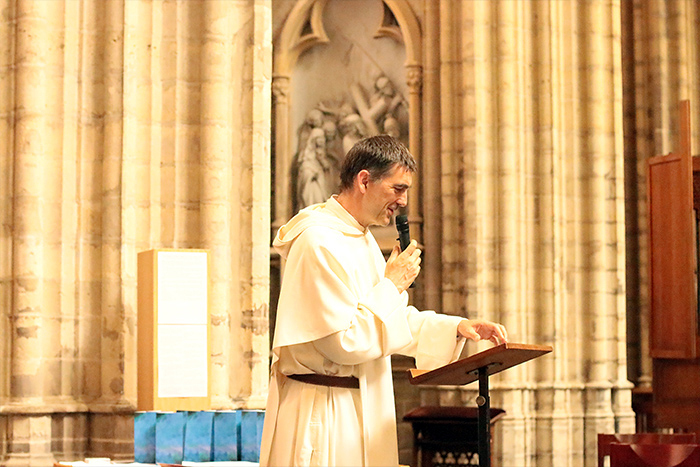 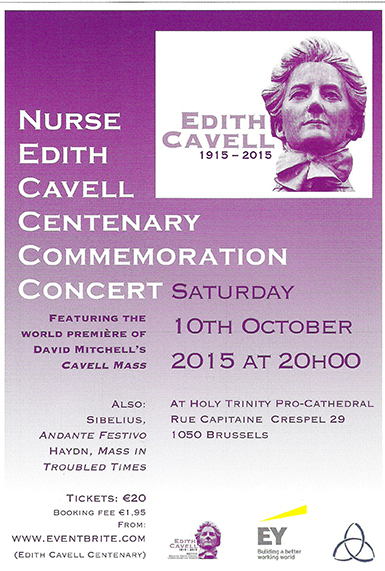 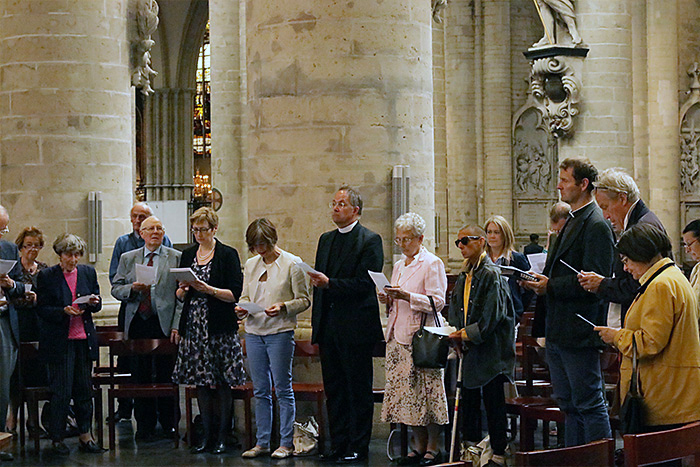 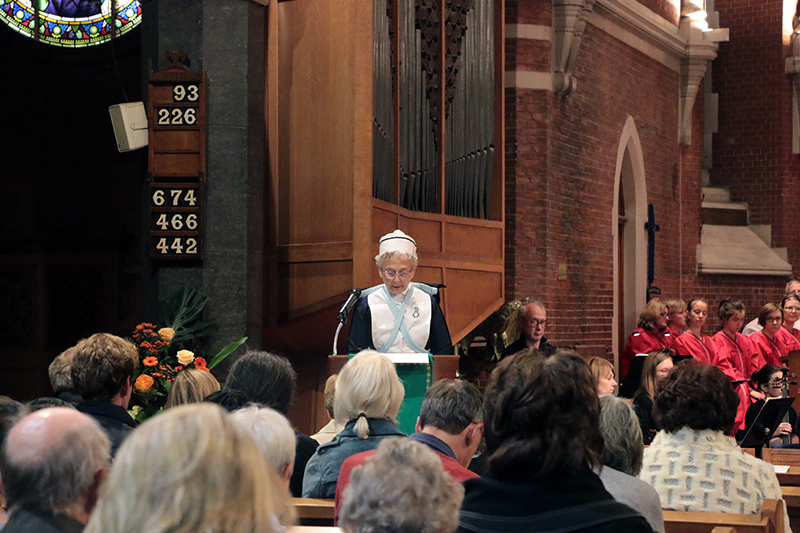 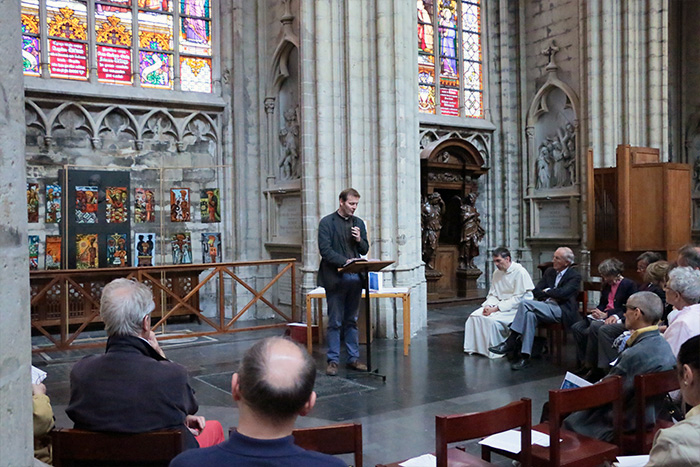 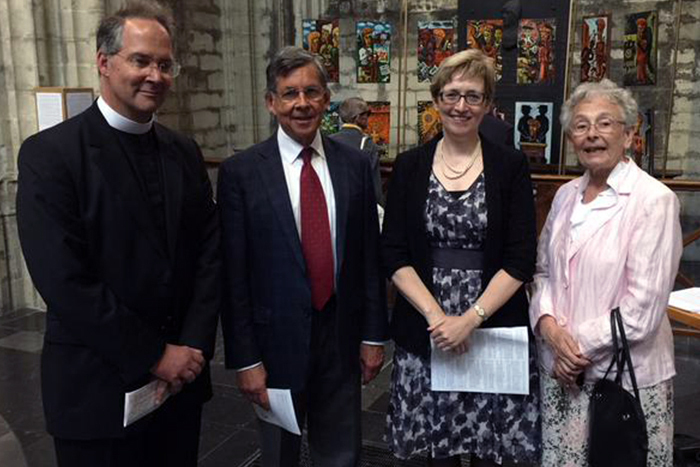 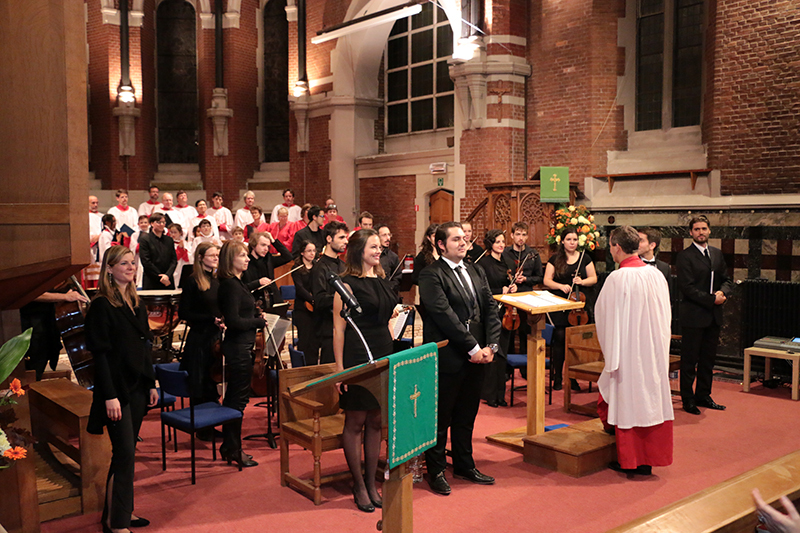 The Cavell Mass was performed for the first time at Holy Trinity Pro-Cathedral, Brussels on Saturday 10th October 2015. 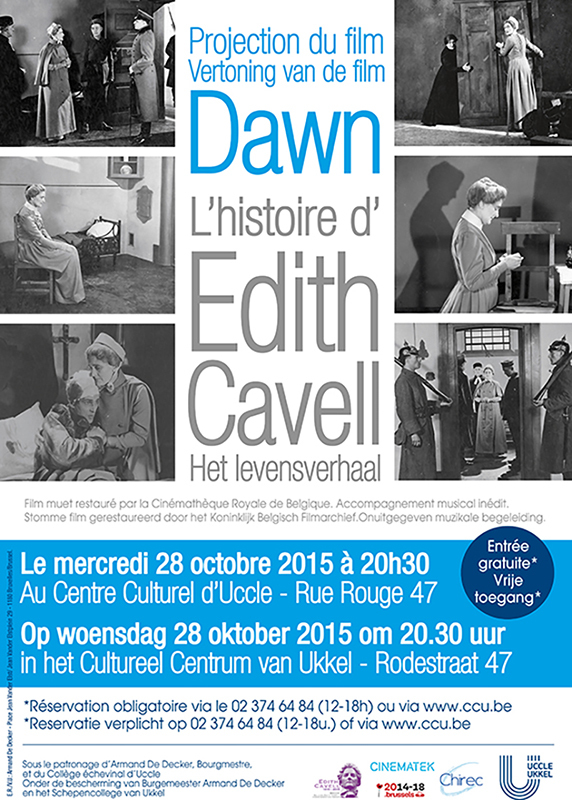 "Dawn" is a 1928 silent film directed by Herbert Wilcox and starring Sybil Thorndike in the role of Edith Cavell. 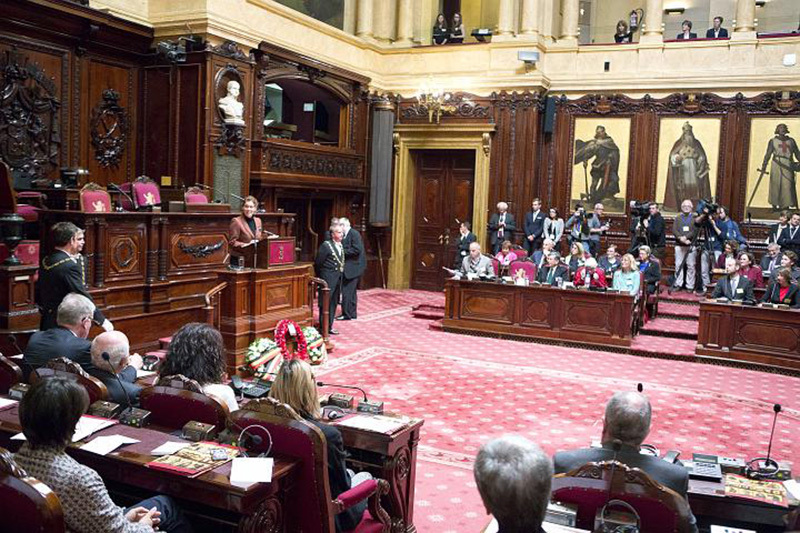 Much of the film was shot in Brussels including in the Belgian Senate. 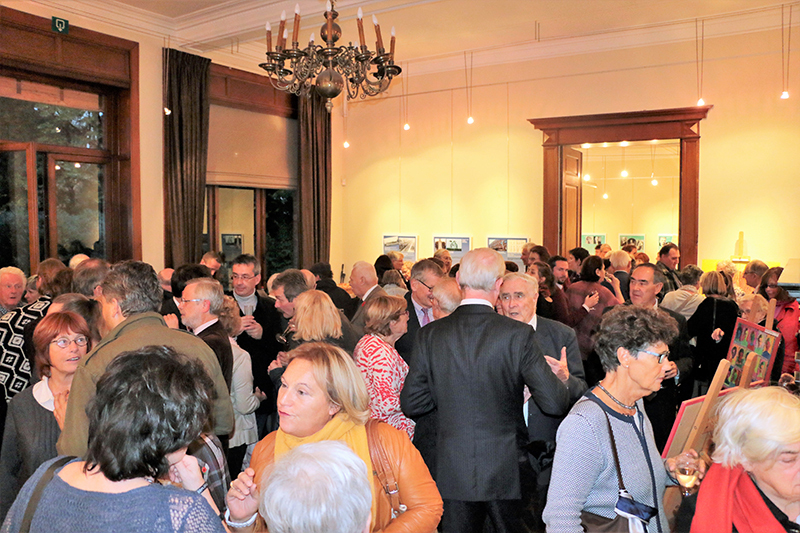 The film was restored by the "Cinématique Royale de Belgique" in 2015. 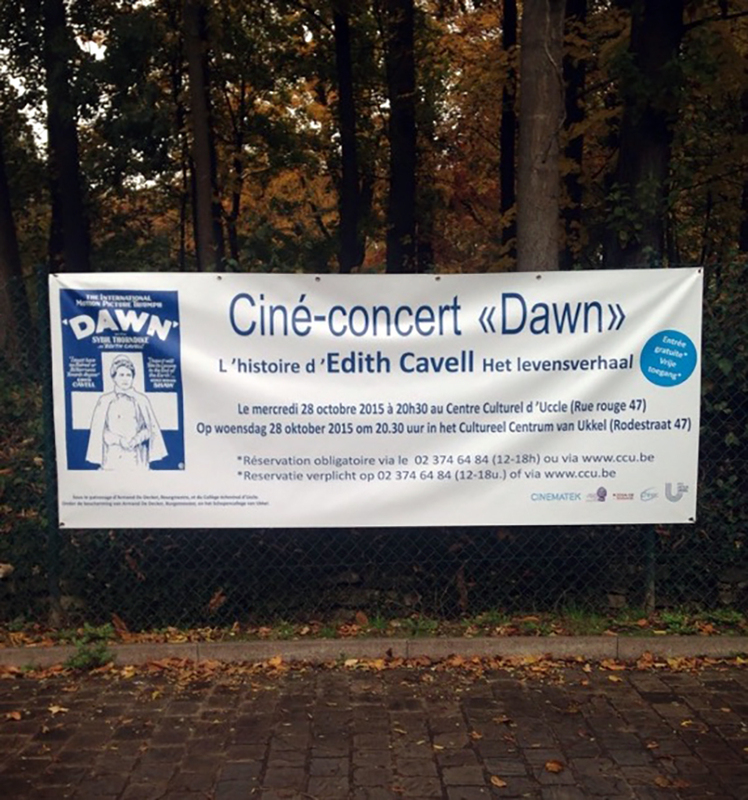 The restored version was shown in Brussels at the Uccle Cultural Centre for the first time on 28th October 2015. 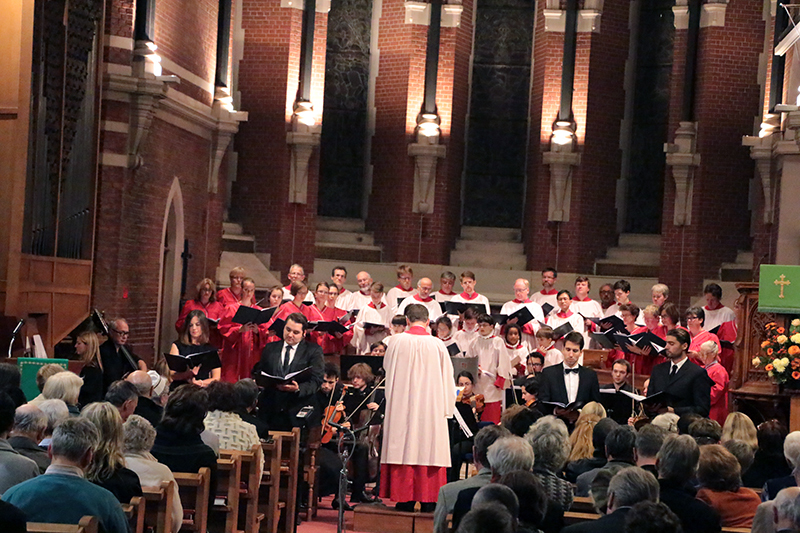 The accompanying music was composed and presented by Stéphane Orlando and his fellow musicians. 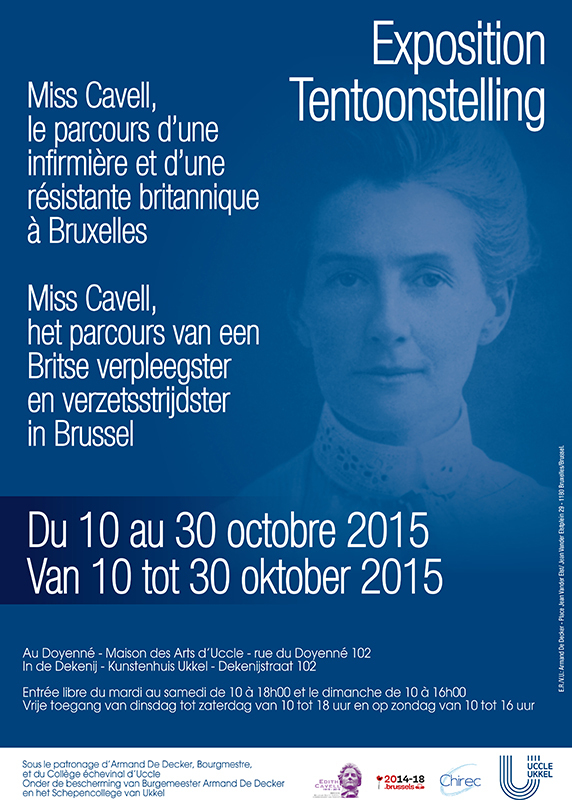 The Opening of Cavell House at the British School of Brussels. 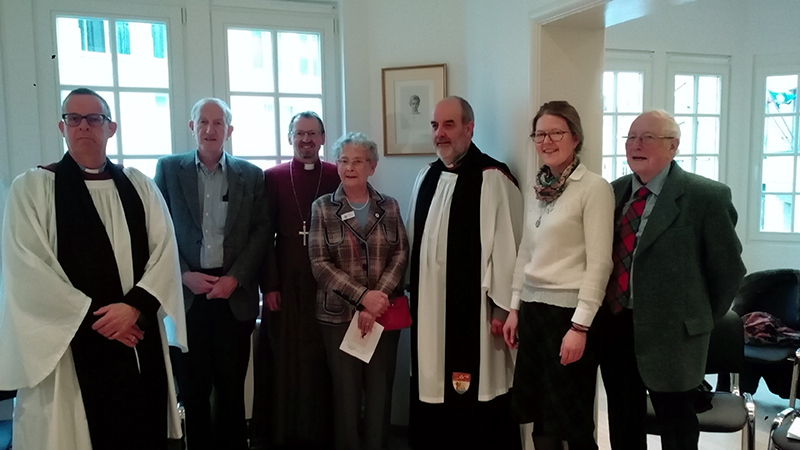 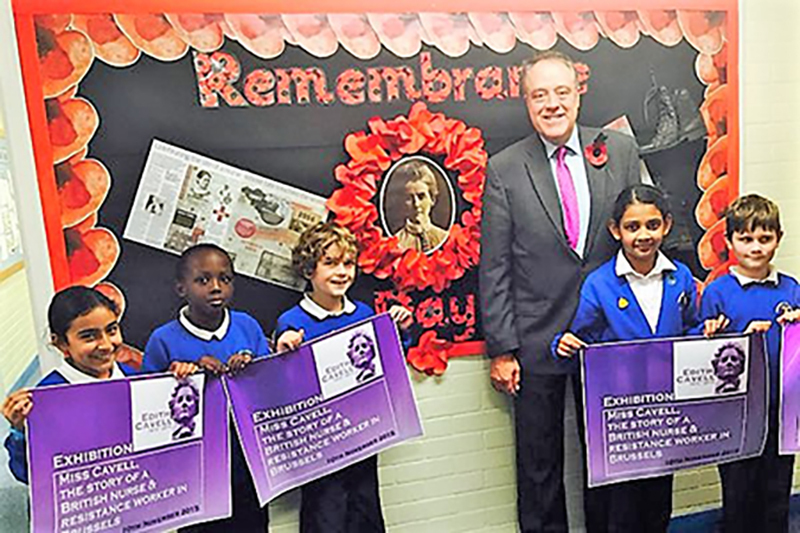 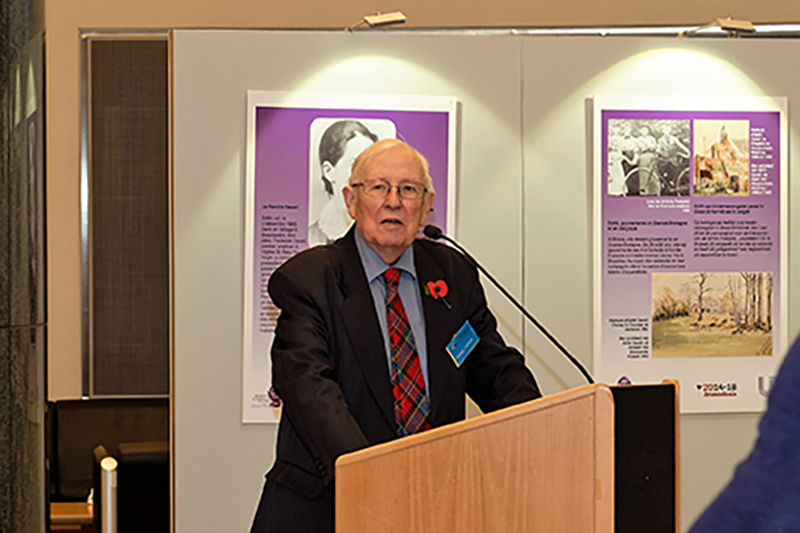 Cavell House was opened by Ambassador Alison Rose on 16th October 2015. 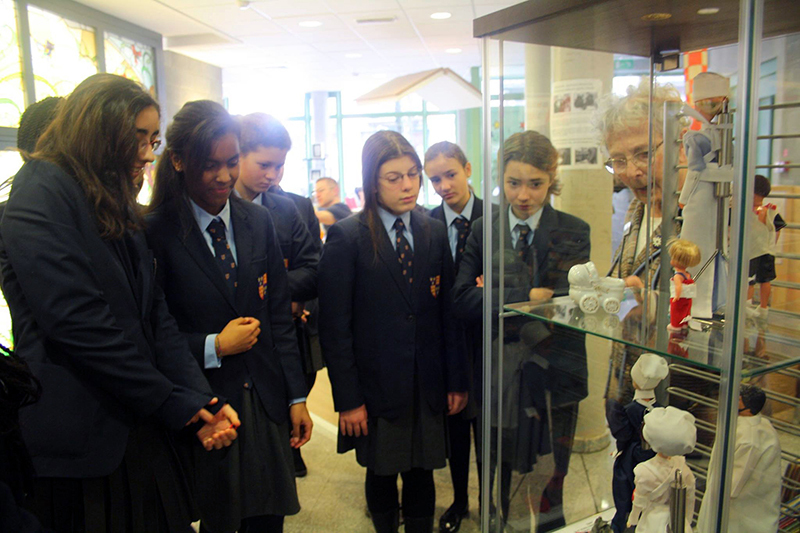 It is a dedicated parents' centre. 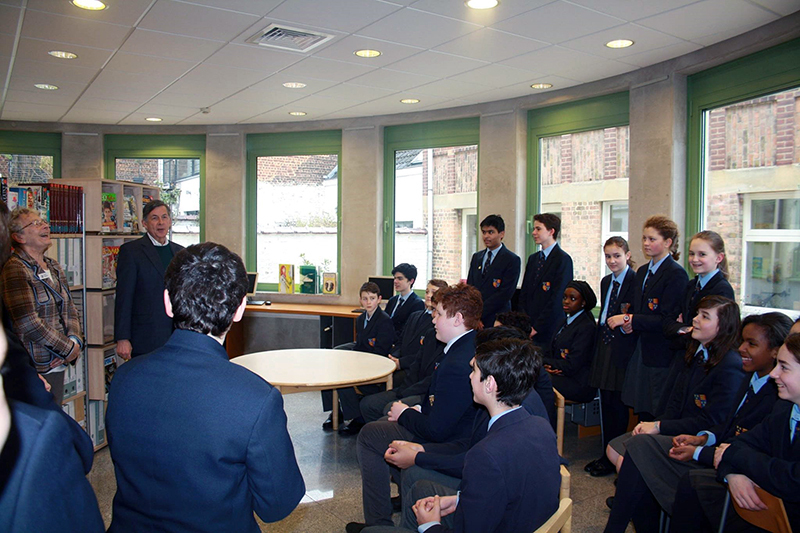 In November 2014 The British School performed the play "A Tender Hear" written, produced and acted by pupils and staff. 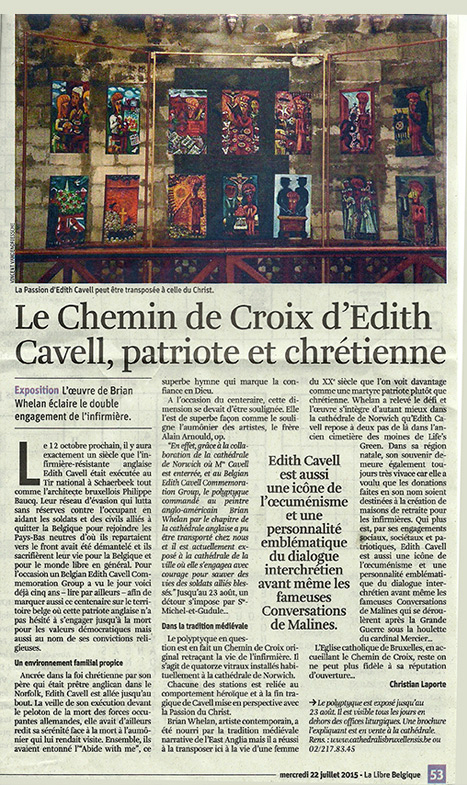 The Sts Michel and Gudule Cathedral in Brussels hosted the 14 Edith Cavell Passion Paintings from 12th July to 27th August 2015. 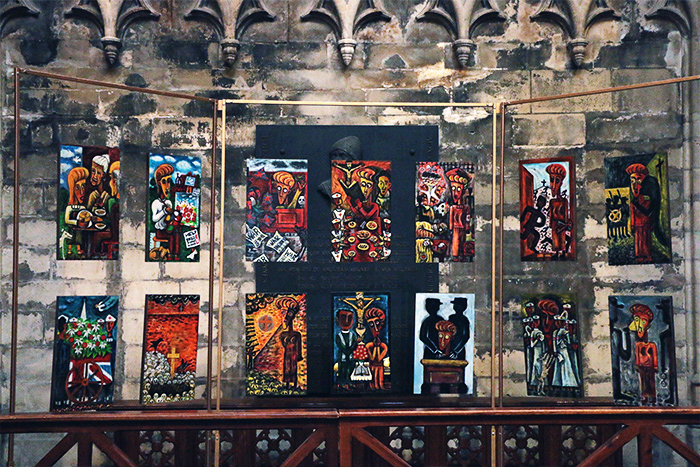 These paintings were painted by Brian Whelan for Norwich Cathedral as part of the Edith Cavell Centenary Commemoration. 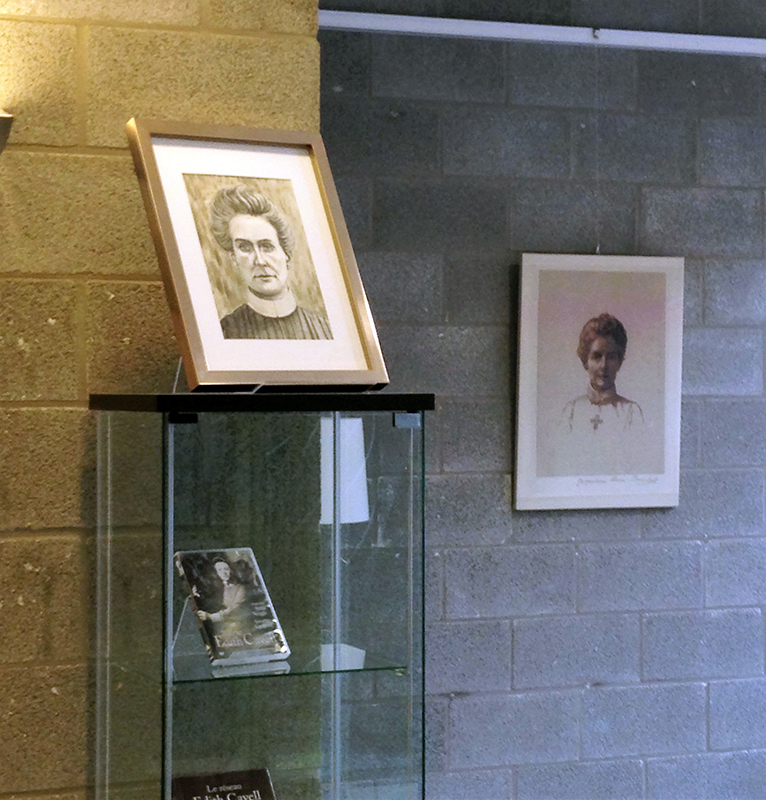 They are now hanging in Norwich Cathedral. 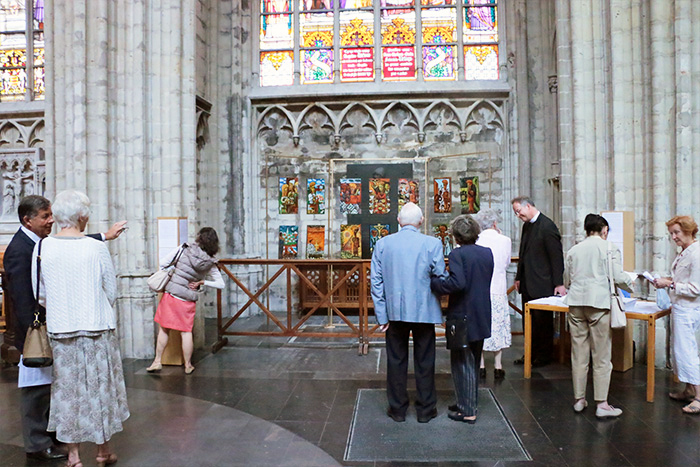 The photographs were taken at the inauguration on Sunday 12th July 2015.